August | 2012 | Brand On! If you have ever agonized over when you will receive that “critical” email—which causes you to check your inbox every five minutes—you will love AwayFind. 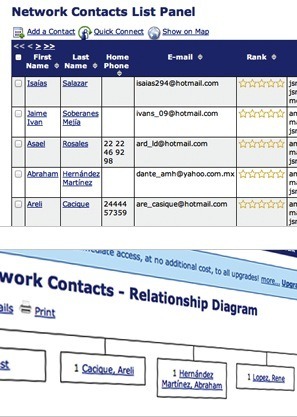 It allows you to connect one or more email addresses and specify your most important people and email domains (companyname.com). Need to schedule a quick reminder to yourself or someone else? 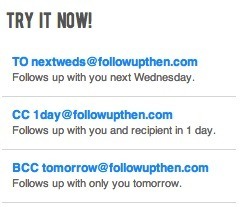 FollowUpThen is great, because it works straight from your email inbox. Just by sending an email, you will set a reminder for a day later, two weeks, one month…whatever you’d like! My sincere thanks again for reading and keeping me in mind for any exciting, senior-level marketing and PR roles you hear about! Please feel free to pass along this email or my contact information below. And let me know if there is anything I can help you with! After many years roaming down the path of entrepreneurship, I have decided to seek a bigger opportunity with an established company. I am no longer with my former firm, Command Partners, and am actively looking for a new professional challenge. Staying in NC (if possible) though I’m willing to relocate for the right opportunity! In exchange for your reading my occasional updates and passing along promising leads, I want to do what I can to help you and others. I’ll be honest. I haven’t actively looked for a job in more than 12 years. But I’ve been approached by countless job seekers, most of whom went about their search the wrong way (in my opinion). So I’ll be using my enewsletter and my website (https://www.brandonuttley.com) to share my own ideas and tips on how not only to get a job, but how to grow and utilize your connections in meaningful ways. I’ll also share my favorite social media and productivity tools. You can also get a lot of great information from the Marketing Squad podcast, hosted by Nathan Richie of NR Creative Group and me. I know that my new job likely won’t come from Monster or some other job board. Instead, it will come from you or someone else I know or that you know. Connections matter more now than ever. Most job seekers I’ve encountered were like hit-and-run drivers—that is, they contacted me once and I never heard from them again. I’m not going to make that mistake. You’ll be in the loop. Tools are worthless if you don’t use them. I’ve been amazed at how many job seekers have neglected to use all the incredible, largely free tools available to them. See below for a few great starting points. To be open to possibilities, you have to truly be open. I have seen many, many people disappear during their job search, whether from embarrassment or fear or something else. Starting with this email and my presence on plenty of social networks, I am putting myself out there. Zig Ziglar said it best: “You can get anything you want, as long as you help enough other people get what they want.” Too many people just ask for help and don’t reciprocate. I’ll do my best to do otherwise. I believe in the principle that you reap what you sow. My friend Corey Creed of Hippo Internet Marketing reminded me of the awesome “social job search” that email marketer extraordinaire DJ Waldow of Waldow Social conducted awhile back. It’s still a tremendous example of the power of networking, email marketing and social media to help you land a job (or in DJ’s case, get inspired to start your own firm). I’m starting out my job search with some excellent platforms. By now, the power of LinkedIn should be obvious to most people, but sadly I still find some unwilling to join or spend the time to make connections. After many years of reaching out to others and in turn accepting most requests, I have more than 1,500 connections there alone (not counting my followers on Facebook, Twitter and elsewhere). That is a much better starting point than the famous Dunbar’s number, or the estimated 100-230 individuals with whom any of us can maintain strong social relationships. I used GoDaddy to register www.brandonuttley.com. It’s easy and cheap to get your own domain name (less than $15 per year, and other services cost even less). I encourage everyone to do this—it makes a great gift for young people before they enter the job market! Even if you don’t plan to use it for your website, it will allow you to set up a better, more professional email address. 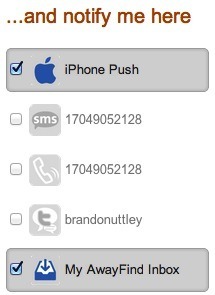 I created my own email address (brandon@brandonuttley.com) using Google Apps. This is a fantastic service for just $60 per user/email account per year. It gives you not only an email address tied to your domain, but tons of storage space in Gmail, plus your own Google Docs (similar to Word and Excel in the cloud), Google Calendar and more services. If you are serious about your job search, use your own domain name and not a generic Gmail, Yahoo, Hotmail or other address. This is especially important for anyone in the marketing world, where first impressions count. I used Google Apps domain management features to point my domain name to Tumblr. I’ve used WordPress many times as a blogging/site platform, but I had lots of issues with security (more on that in another post). This time around, I found a great free Tumblr theme for my site, another bonus. MailChimp was my service of choice when it came to hosting this newsletter. It’s free for up to 2,000 subscribers and 12,000 emails per month. 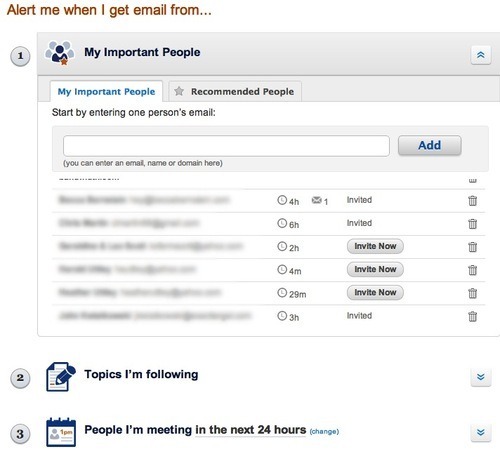 After that, it remains very low cost, depending on the number of subscribers and volume of emails. Anyone worth their salt in Internet marketing knows that email is still the reigning champion in terms of how most people prefer to get information, as well as what converts best. I’m a little stunned that I’ve never personally seen a job seeker use email as a significant part of their search. What better way to spread the word and keep your contacts informed? Of course, I’ll be very active on Twitter, Facebook, LinkedIn and Google+, just to name a few. I’ll discuss these and more in future posts and emails. I’m grateful for all the help you can give during my search. If you’d like to get regular updates along with useful information I’ll share, please subscribe to my email list. By the end of 2012, close to 82 million US mobile users will use a social networking site on their phone at least once a month, according to eMarketer. That’s more than a quarter of the total US population. The study indicates that 95.5% will be checking social sites on a smartphone. Smartphone users are almost twice as likely as overall mobile phone users to check social sites. By 2014, eMarketer estimates, nearly half of the total US mobile population will be using mobile devices for social networking. Facebook is tops for most mobile social networkers. Almost 70 million people will access Facebook from their phones each month this year, or 85.4% of the overall mobile social networking population. That will rise to 87.4% by 2014, when nearly four in 10 mobile users and almost two-thirds of smartphone users will check Facebook on mobile devices. Clearly, mobile is gaining in preference. As more people check social sites via smartphones, marketers will need to keep readability top of mind. Twitter was and still is right: Short is sweet. Long text or videos will get lost in the digital clutter, as people squint and scan their way through the social stream. For more information, read the full story.